"Social Equity Inclusion Action Plan" by Social Equity + Inclusion Office, Rosanne Somerson et al. Art and design have far-reaching capacities for generating shared language and connecting people and communities. The creative forms we study at RISD o er powerful means for conveying ideas and shaping experiences across habituated boundaries. Today we see those forms resonate more than ever before in the multilingual, culturally heterogeneous, digitally interconnected spaces around the globe. In fact, the democratization of communications media has made it possible for long marginalized voices to join and substantively transform our public discourses. The resulting body of critical knowledge has focused attention on interlocking systems of privilege and disenfranchisement entrenched throughout our social institutions, including those of higher education. In response, numerous institutions have worked to counteract the systemic forces of bias and inequality, but these e orts have produced, more often than not, only limited e ects, especially when seen in the context of more rapid cultural changes in society at large. This di erential between intent and outcomes has added a new level of urgency to the conversation on issues of diversity, identity, inclusion, access, agency, and equity in the halls of American higher education. 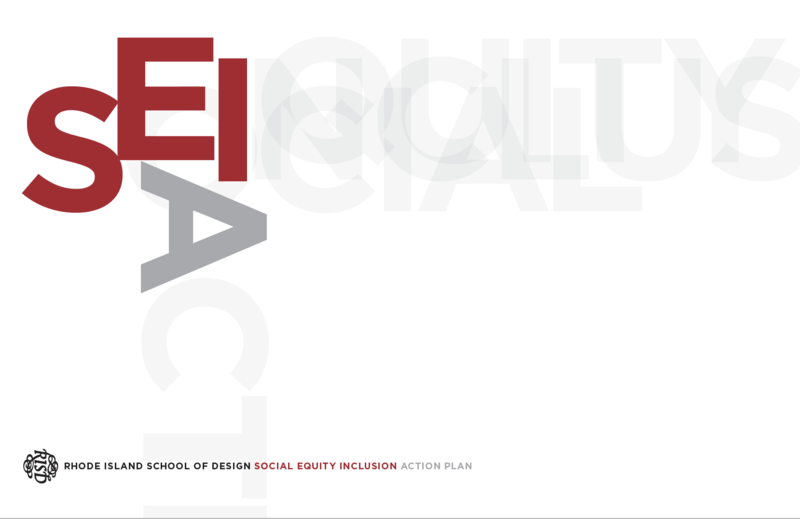 The following Social Equity and Inclusion (SEI) Action Plan provides the RISD community with an historic opportunity to carefully and systematically address those issues, and realize a forward-looking example for other institutions to follow. Office, Social Equity + Inclusion; Somerson, Rosanne; and Payne, Rene Watkins, "Social Equity Inclusion Action Plan" (2017). Social Equity Inclusion (SEI) Action Plan. 1.